There are a lot of areas that are a part of the Airy Peaks, twenty-three last time I counted but I might have lost some and added some along the way that I’m forgetting about. These aren’t twenty-three rooms — they are twenty-four adventure locations. It’s intended to be a massive place and I wanted it to feel like that. In doing that I needed to solve a couple of problems when drawing it up. The first was how do I connect all the areas of the Peaks? The second was how can the characters travel the Peaks without it feeling like a slog? So let’s solve them. The point crawl is an alternative to the hex crawl and mapping out every continuous connection in a dungeon. It looks a lot like a mind map and connects larger areas to each other by lines. 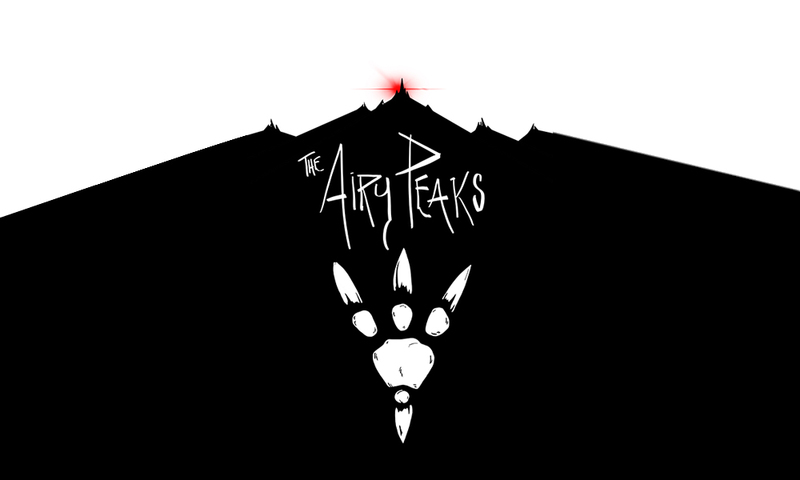 That’s how I initially drew up the Airy Peaks. In doing this I created some distinct areas as parts of individual mountains, but I wanted a way for characters to really get around so I created the Fire Tube Tunnels. These round tunnels are beneath the Peaks and connect all the lower and some of the higher area caverns. Within the Fire Tube Tunnels are also some larger caverns that aren’t in a mountain. I also had some of the areas outside of the mountains such as the Ever Burning Forest, The Remnants of the Great Forest, and The Vale of Bones. With that done I had connected the Peaks and had given a way for the characters to travel them, but the Fire Tube Tunnels created a new problem. There was never going to be a way to map them out. They just connected things. That meant I needed to decide how the characters would find their way around the Fire Tube Tunnels. My answer was the Town of Foot and a custom move. I talked a bit about Foot in the first article. It’s a home base that matters. One of the reasons it matters is because adventurers flock to the location, explore the Peaks, make maps, sell those maps, and learn rumors. One of the ways I evolved the story of the Peaks was letting the characters have maps that would lead them to new locations in the mountain range. These maps were described as hand written and were annotated by different adventurers depending on how old they were. The other side of the equation were rumors. The rumors were heard and shared over drinks at the Red Scales Inn. These rumors often prompted the characters to go on adventures to find whatever the rumors were pointing them to. With maps, rumors and a move called Carouse, I had a lot of tools at my disposal to drop story seeds and adventure hooks to the characters. It made it really easy to prompt the characters into action, since most of them were looking go in after treasure. Even if they weren’t they’d just go look for adventure. With the maps and moves I had it let me improvise a night of adventure anyways. Now that I had a way for the characters to move around the mountain range and several ways to hook them into adventures, I needed to mechanize moving around the mountain range. So there were a couple of ways. I created a custom move for Navigating the Fire Tube Tunnels and I would also just let them get where they were going if they had a map that led them there. So maps were more valuable than rumors, and any place that was connected by the Fire Tube Tunnels that needed to be navigated had a mechanism. In Dungeon World I used the move but in other games a random encounter mechanism could be used, such as roll a d6 and on a 6 you encounter trouble of the GMs choosing. That could even be modified to be roll a d6 and on a 3+ you encounter trouble of the GMs choosing. I had a lot of things that could cause trouble in the Fire Tube Tunnels. It could also be roll on a random table instead of the trouble being of the GMs choosing. That’s completely up to how a GM would handle it. When Navigating the Fire Tube Tunnels have one person designated as the scout and roll + WIS.
On a 10+ the party reaches the location without incident. On a 7-9 the party encounters something interesting. It could be trouble but it might just be interesting. On a 6- the party finds themselves in a difficult situation with the person who rolled choosing who gets the XP for the 6-. That member of the party is in a particularly difficult spot. PreviousAre Two Stories Better than One?